RealNetworks unveiled today a social casino game called GameHouse Casino Plus. Players can play games typically found in a casino, but now they’re entered into a sweepstakes in which, each month, one player in the US will win $100,000. The social casino space is ripe for innovation. 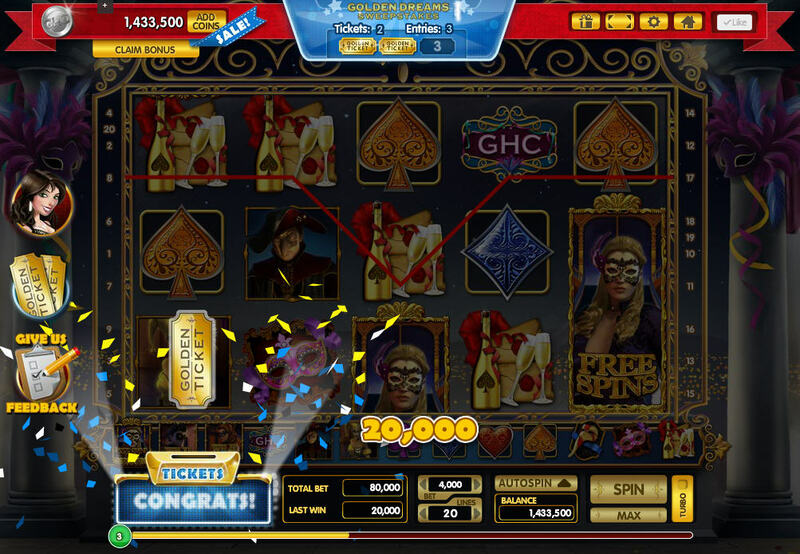 Now all games on GameHouse Casino Plus — slots, video poker, blackjack, and roulette — will offer players the opportunity to collect Golden Tickets, which they can use to enter the Golden Dreams Sweepstakes and have a chance to win $100,000. This goes far beyond the industry standard of virtual coins and makes a fun game even more exciting. GameHouse Casino Plus is the latest game to come from RealNetworks. The company acquired the game maker in 2004 for $35.6 million and previously developed social casual games. It also has a casino game called DoubleDown Casino, but that doesn’t offer up real-money. The company said that Casino Plus has implemented a “rigorous system” to ensure those entered into the $100,000 sweepstakes are eligible to win and the first contest runs from August 1 through 31. Another one will begin the next month. It will be interesting to see how well Casino Plus stacks up in the US. After all, Zynga tried to pursue this option but ultimately retreated — it even filed for a gambling license in Nevada, although it’s unclear what its status is right now. While it may not be able to tap into the US market, the company founded by Mark Pincus, has launched its real-money poker and casino games in the UK, thanks to a partnership with Bwin.party. The game is currently only available on Facebook, but mobile versions are “coming soon”.